Iranian Foreign Minister Mohammad Javad Zarif could be in line to win the Nobel Peace Prize alongside other key players in the Iran nuclear deal, experts have suggested. OSLO - As the North Korean crisis rekindles the Cold War-era threat of nuclear catastrophe, this year's Nobel Peace Prize could honour efforts to limit the spread of atomic weapons, several experts suggest. With tensions between Washington and Pyongyang sending the risk of a nuclear confrontation soaring, the highlight of the Nobel awards season will be announced in Oslo on Friday at 11:00 am (0900 GMT). Who will bag the prestigious prize is anyone's guess, as the names of candidates -- a total of 318 this year -- are by convention kept a closely guarded secret for 50 years. "The Nobel committee would make a big splash if it awarded the prize to the Iran nuclear deal," said Asle Sveen, a peace prize historian. 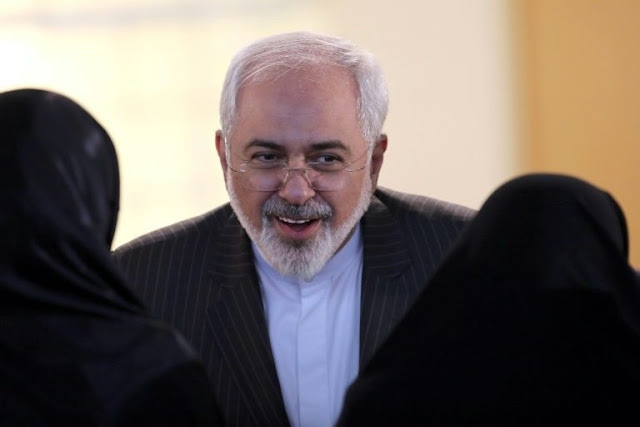 He said the honour could in such case go to former US secretary of state John Kerry, Iranian Foreign Minister Mohammad Javad Zarif and EU foreign policy chief Federica Mogherini -- key architects of the landmark 2015 accord. The Iran deal, concluded with six world powers (the US, Britain, China, France, Russia and Germany) curbed Tehran's nuclear programme in exchange for a lifting of most economic sanctions. But US President Donald Trump has threatened to tear it up, telling the UN General Assembly last month that the deal was "an embarrassment". Trump has recently fuelled a fiery dispute with North Korea over the reclusive state's nuclear weapons programme as Pyongyang has conducted successive missile and underground atomic bomb tests. "With North Korea also at stake, it's very important to support initiatives that guard against the development and proliferation of nuclear weapons," the head of the Peace Research Institute of Oslo (Prio), Henrik Urdal, said. Although the identities of candidates for the Nobel -- whose recent winners include former US president Barack Obama, Pakistani rights campaigner Malala Yousafzai and the European Union -- are officially secret, those eligible to nominate individuals are free to disclose their choices. Peter Wallensteen, a professor at Sweden's Uppsala University, meanwhile said he thought this year's nod could go to Congolese doctor Denis Mukwege, nicknamed "the man who mends women" for his treatment of survivors of sexual violence. Syria's "White Helmets" rescue service and Pope Francis are also believed to be on the list of contenders. Other names circulating are the American Civil Liberties Union (ACLU), Saudi blogger Raif Badawi and independent voices such as Russia's Svetlana Gannushkina and the Novaya Gazeta newspaper and Turkey's Cumhuriyet daily and its exiled former editor Can Dundar. Muslim Global: Will anti-nuclear campaigners win Nobel Peace Prize?